The cost of higher education and the critical demand for skilled allied health professionals continue to rise, making philanthropy increasingly essential. Your giving to Rush’s College of Health Sciences enables students in our nationally ranked programs to become tomorrow’s health care leaders. 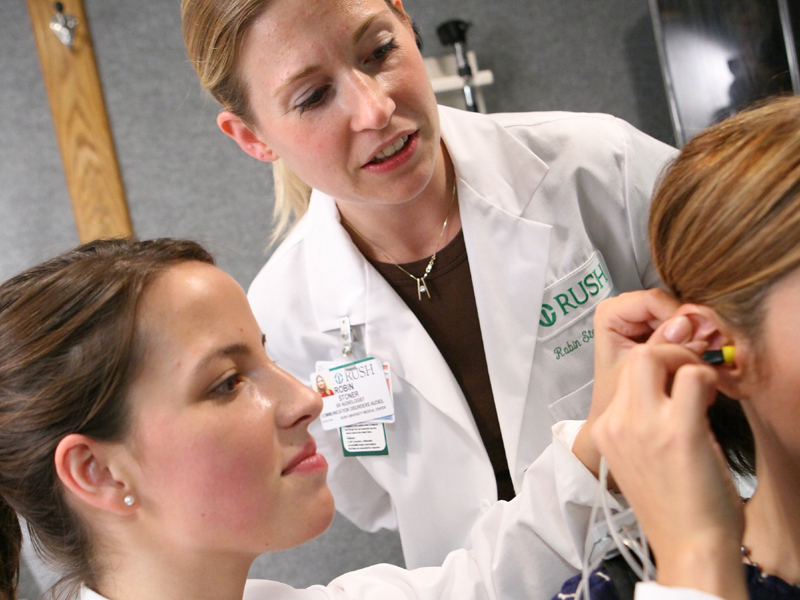 From occupational therapists and audiologists to physician assistants and hospital administrators, our College of Health Sciences students play essential roles in health care settings nationwide. You can give today’s students — and tomorrow’s allied health leaders — access to the same opportunities for success that you had through a gift to the College of Health Sciences Scholarship Fund. Your gift to the College of Health Sciences Scholarship Fund provides much-needed financial assistance to the most deserving students across all of the college’s programs. In top-ranked programs like our Health Systems Management Program, attracting the most qualified students depends on our ability to help defray their tuition costs. For some students, philanthropy may be the only way they are able to attend Rush and pursue their dreams of becoming health care professionals. With your support, this diverse group of talented students can pursue the kind of experiential, interprofessional education for which Rush is known and grow into essential members of patient care teams. I’ve always had a passion for food and a passion for health and well-being. The financial aid I’ve received has helped me put these two passions together, reducing my stress level while I work to enter the field of clinical nutrition. Alumni and friends who support the College of Health Sciences and its students with annual giving of $1,000 or more will be recognized through membership in the Anchor Cross Society. A provision for the College of Health Sciences in your estate plan qualifies you for membership in the Rush Heritage Society. While the College of Health Sciences Scholarship Fund is one of the most meaningful ways to support the college, there are many ways to support Rush University or a specific program. If you have questions about your gift or membership in one of our giving societies, contact the Office of Alumni Relations at (312) 942-7199 or alumni@rush.edu.